USA Money Today is a locally-owned and family-operated car title loan business that opened its doors in 2005. Presently, the company has 3 locations in Las Vegas and 1 location in Henderson, Nevada. We specialize in short term car title loans with no prepayment penalties and minimal paperwork. We have a very high approval rate and you can get your money in about 25 minutes or less. What Makes Us Different Than Other Title Loan Companies? Our title loan process is very quick and easy. We have a very high approval rate and can get you money in as little as 25 minutes. We'll loan you more for your vehicle than any other title loan company in Las Vegas and Nevada. It's true--just ask our customers or read their reviews on Google+! We don't impose any prepayment penalties and we're one of the few title loan providers in the Las Vegas area to charge interest based on when you repay the loan, not by the entire month. We have the best terms in the car title loan business. We remain very flexible so that we can assist a wide variety of customer financial circumstances. Everyone comes to us for a slightly different reason and we do our very best to help. Unlike many other car title loan companies, we are from and live in Las Vegas. You're not just a number to us, you're a neighbor. Money problems don't keep business hours. So we're available 24/7 to help you whenever you need money and need it fast. 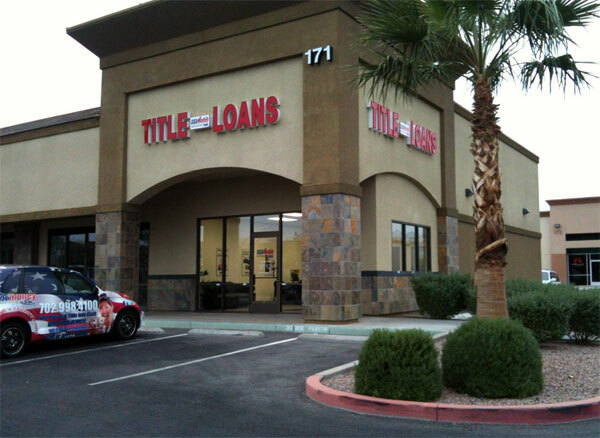 Our goal is to be the best title loan company in the Las Vegas area. Our customers seem to believe that we are. For proof, scroll down to the bottom of the page to view our ratings on Google+. Have some questions about how car title loans work & what you will need? If anyone is looking for short term loans, this is the place to go. No hassle quick application and service is outstanding. Thank you USA Money Today for all you do!